YOU GO WITH THE CROWD, YOU LOSE LIKE THE CROWD! 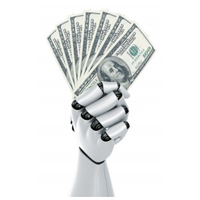 FX Robot compares prices in real-time on many markets and brokers and knows the price movements in the next 1-5 seconds. So it doesn't need to guess, it knows in which directions the price will go just before it opens a profitable trade, that's why it's so successful!